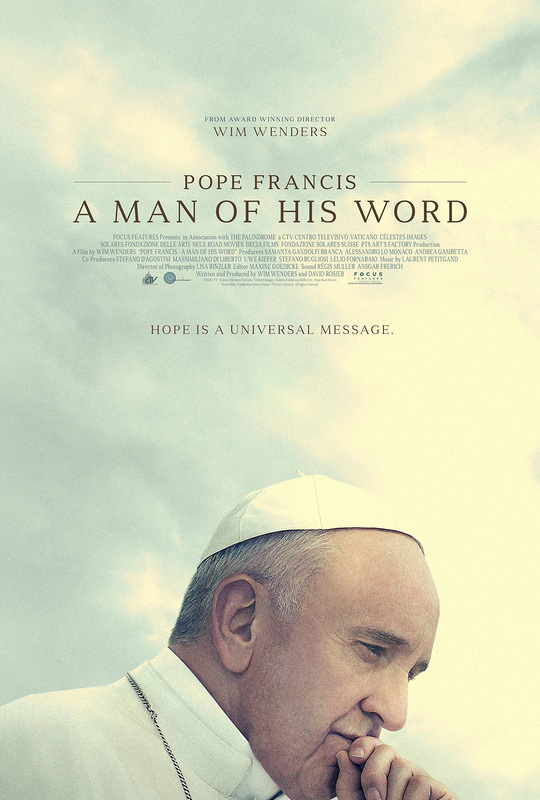 Written and directed by Wim Wenders, this documentary follows Pope Francis as he travels the world delivering his message of hope to those in need. The film explores his background as well as his modern approach to the Catholic faith, with an emphasis on his concern over the effects of global warming on the future of humanity. Wenders received a nomination for the Golden Eye Award at the 2018 Cannes Film Festival.